Click the links to the individual sins pictures and READ my explanations for choosing the girls. I am NO WAY saying the characters are evil. In fact I am saying the complete opposite! I made this piece to COMBAT those who say the Princesses and whatnot are not suitable role models. 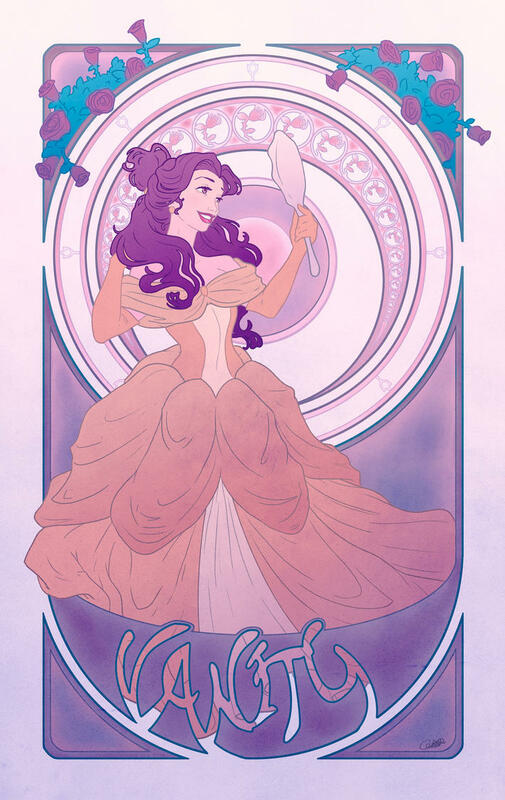 Here's Belle, the victim of vanity. While she herself is not vain, those around her seem to see nothing but her beauty, such as Gaston only wants her due to her radiance. Her tale itself is one completely focused on Vanity. Cinderella was selected to display Lust because I see Lust as an inner desire that strives for personal pleasure or gain. 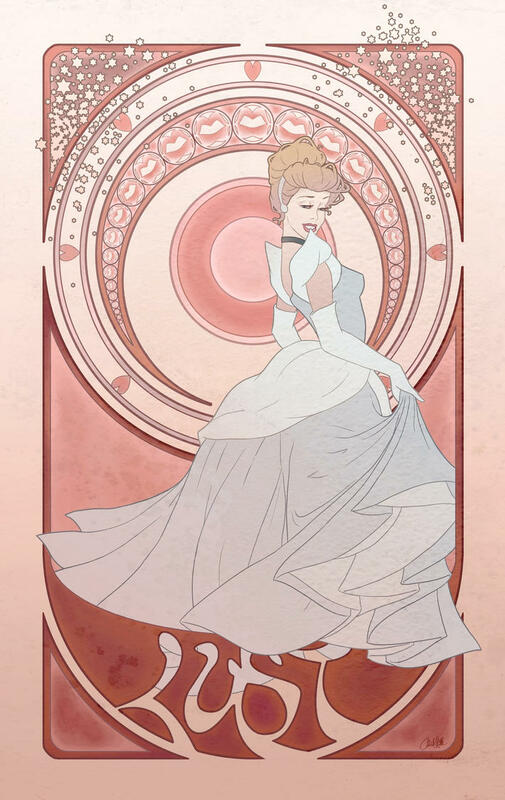 Cinderella is always dreaming of a life other than the one she has with her wicked step-mother, and who could blame her. And then after dancing with the Prince, he becomes her every thought and she cannot stop wanting to be with him again. She was illustrated in an enticing manner to symbolize temptation, as Lust I feel is the most tempting sin. Here's Tink, not a princess but the most suitable character to represent the battle with Envy. 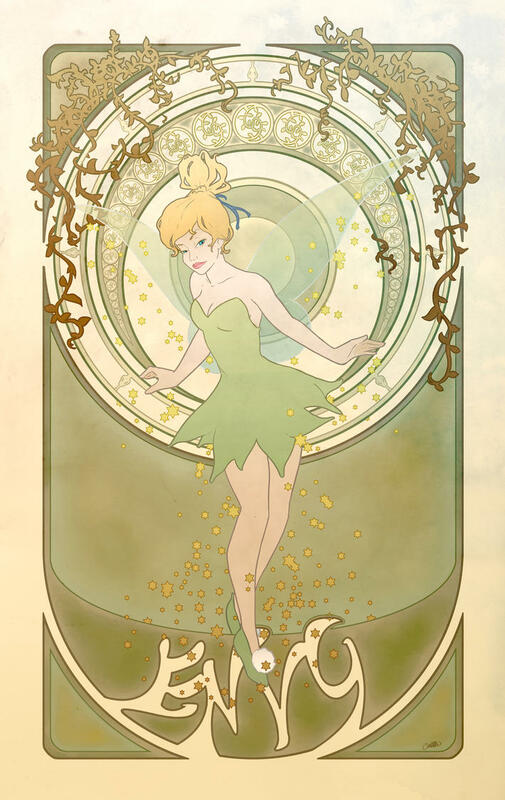 Tink's envy of Wendy and Peter's relationship causes her to do some pretty mean things, but in the end she overcomes her envy and grows to be the sassy fairy we all know and love. Aurora was selected to represent sloth for a number of reasons. 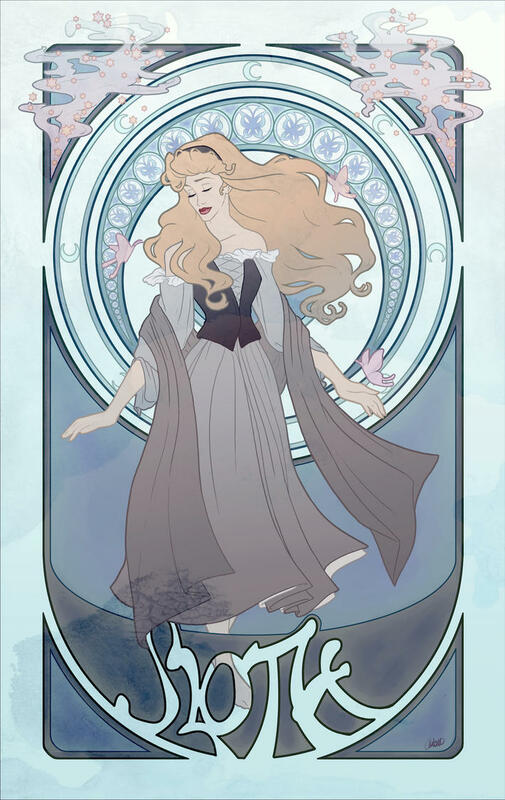 First because she is widely known as "The Sleeping Beauty", and secondly because for the first 16 years of her life she lived in a homely cottage in the woods, never really doing much other than sing to her woodland friends and pick berries. This was not her choice however, she was in hiding and even that was not her choice. She was largely affected by Sloth although she herself never willingly committed any Sloth acts. My girl Ariel was selected to showcase Greed due to the fact that she was never completely satisfied with what she had under the sea. A crown, a loving family, friends... and copious amounts of human-world treasures were not enough to suffice. But all of these things she really had to try hard to achieve, except for maybe outsmarting Glut the shark, but she made that look effortless . 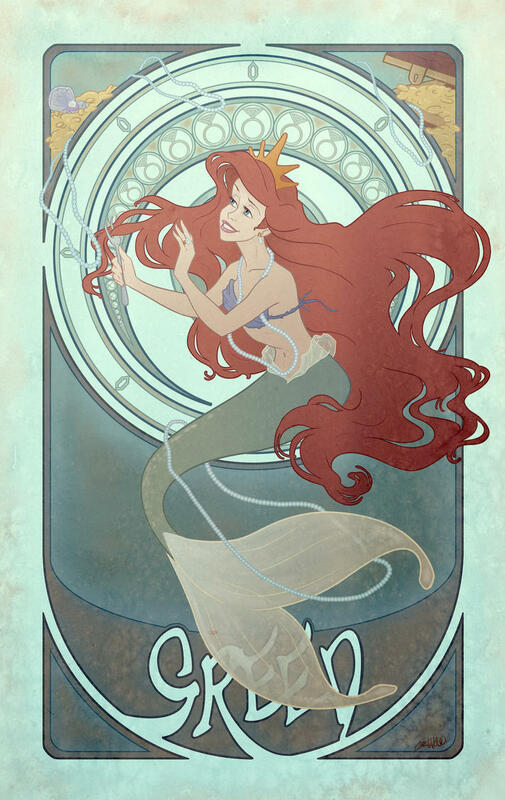 When it came time for Ariel to try to achieve what she wanted most, to be human, she takes the wrong approach, and ends up getting pulled into Ursula's own greedy scheme to rule the oceans. 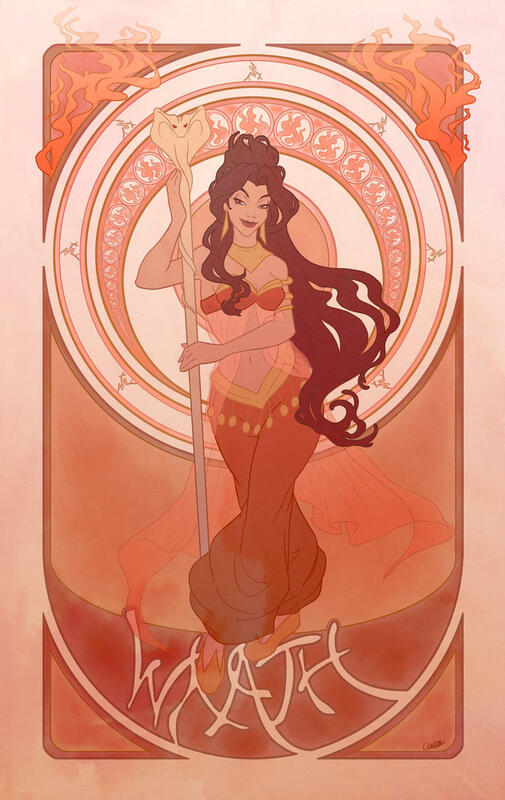 In the end, after Ursula had been destroyed as well as Ariel's chances at humanity (or so she thought) she finally earns her legs by proving her love for her prince to her father. I'm not sure if any of my watchers remember when I talked about starting a "7 Deadly Sins" series, featuring Disney Princesses, well I've finally got around to doing it and most of the sketches for the girls are complete. So thankful I have a break from school, time to do some personal work!. 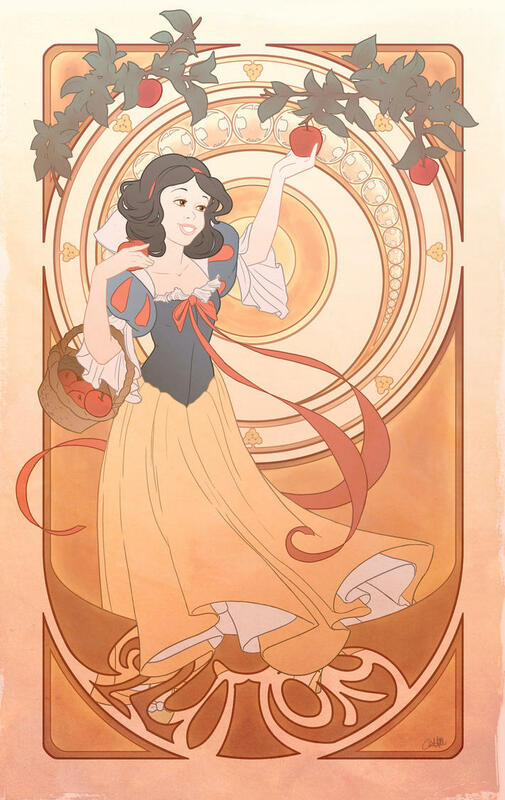 Snow White was selected to represent Gluttony because first and foremost, she takes a bite of an apple and that bite is her demise. I see gluttony as eating so much that harm occurs, and that is precisely Snow White's story. She is also herself a symbol of triumph over Gluttony, for she was saved by her prince. Each of the characters in this series will both represent the sin and triumph over said sin.